Beautiful card, love all the colored patterned paper! Oh Miss Katie What a Funtabulous and Gorgeous Card. I love your Bundle of Balloons....gosh what great papers and colors....and the fun way you tied them all together to carry the birthday gal or guy for Fun Filled Birthday Balloon Time......Your ideas sure make for a Spectacular Card!! YOU so ROCK!! Love love love this! Your card is darling. The papers you used are so bright and cheerful too! Beautiful! 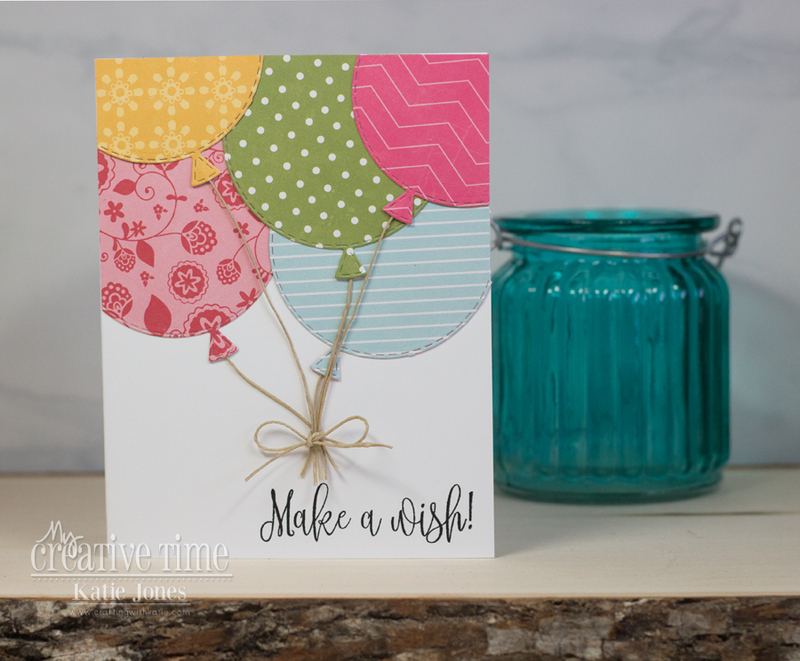 I love the papers you chose for your balloons and all of the twine is fun. Perfect with the pretty sentiment! Super cute card Katie! Love the paper you used for the balloons!